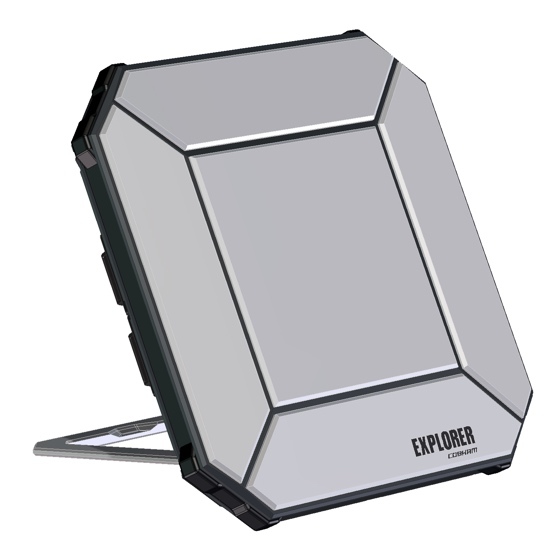 The Explorer 510 is the smallest BGAN terminal coming in at just under 8” x 8” x 1.2” inches. Ideal for connecting smartphones, tablets or laptops from anywhere in the world. This ultra-portable terminal has speeds of up to 484 Kbps, as well as phone service to any connected smartphone. Ruggedized – The Explorer 510 has an Ingress rating of IP66 (dust-tight & waterjet resistant), which means this terminal will operate in rainforests, or on top of freezing glaciers. -13°F to +131°F (-25°C to +55°C). The EXPLORER 510 provides versatility and high speed access with multiple interfaces for countless applications. Just connect your phone, laptop, smartphone or tablet, point the antenna towards the BGAN satellite – press a button, and you are online. The system offers multi-user as well as single-user functionality, making it a flexible solution for a variety of applications, such as Internet browsing, email, live video broadcasting, phone services, large file transfers, video conferencing and streaming, and VPN applications. With a compact size, it can be placed in a laptop case and offer a mobile office no matter where you are. It use s your smartphone to make and receive calls from anyone. And coming in the first quarter of 2015, we’ll introduce a USB Host Device called the Explorer LTE dongle, that lets you use local cellular connections IF they are available. This can be a real cost saver as well as time saver since the least expensive service will be available anywhere you travel.